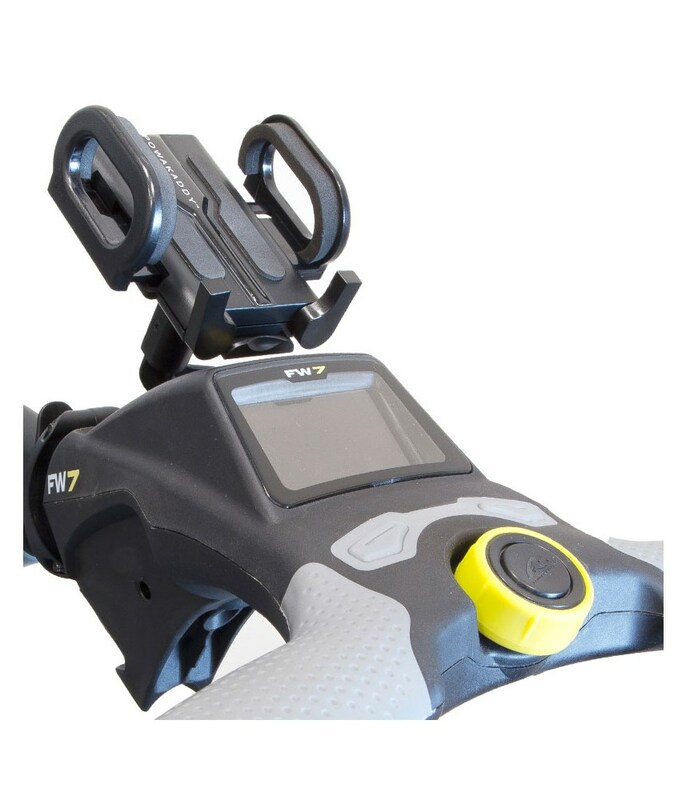 The Powakaddy Smartphone / GPS Holder will allow you to see the display of your device clearly in either portrait or landscape view. 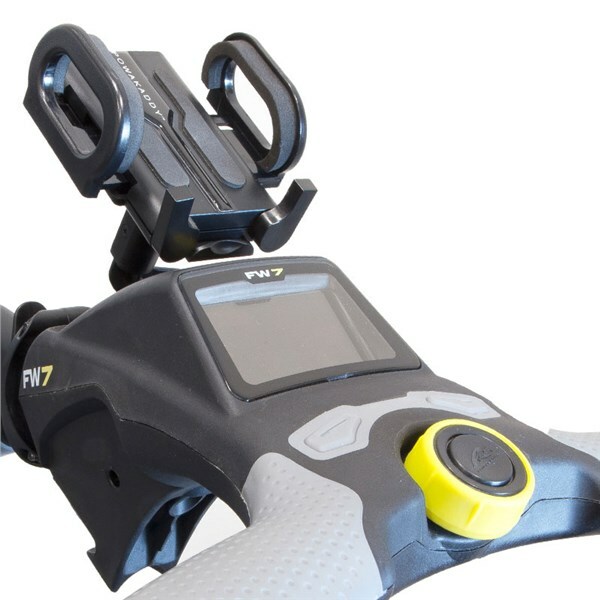 Easy to fit with the various mounts that are included in the box, this stylish design will provide a secure holder for your smartphone or GPS so that as you are approaching your golf ball you are already working out what yardage you have for your next shot. Foam padded on the inner wings of the device holder help provide a secure fit as well as protect the device from scratches and further damage.